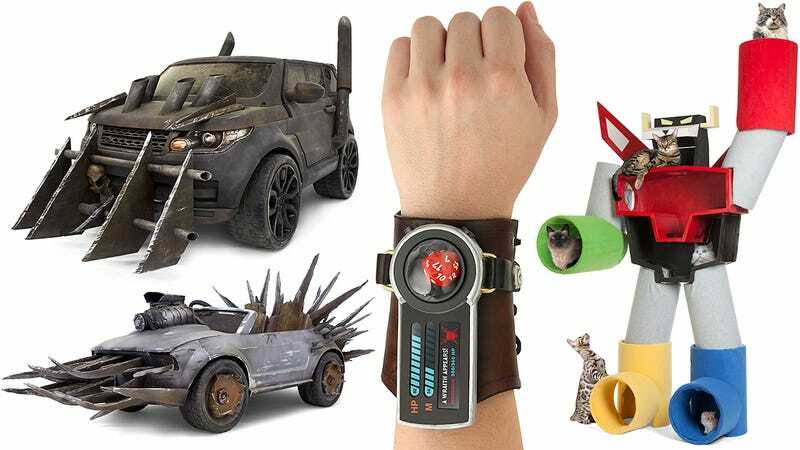 ThinkGeek actually has a long history of turning its April Fool's Day pranks into actual products. You can now buy that flying Star Trek U.S.S. Enterprise frisbee that a year ago we thought could never actually fly. And the same goes for last year's Flux Capacitor car charger that's now just $25 away from being yours. Who doesn't love playing detective? The original Clue let amateur sleuths try their hands at solving a murder mystery, but the Game of Thrones version of the game boosts the difficulty immensely. Everyone's out to kill everyone else in the land of Westeros, so this edition of Clue includes 48 suspects, 48 weapons, and an expansive game board with eight-square-feet of real estate.